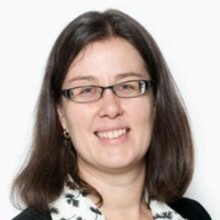 Dr Heli Askola is Associate Professor at the Faculty of Law, Monash University. Her research interests include comparative immigration and citizenship policy; labour and sexual exploitation of migrants, including trafficking in human beings; and freedom of movement and migration in the EU. She has published widely in these areas. Her publications include Citizenship and Demographic Change (Cambridge University Press, 2016) and Legal Responses to Trafficking in Women for Sexual Exploitation in the European Union (Hart Publishing, 2007).